the bugcast 497 – What’s In Your Head? 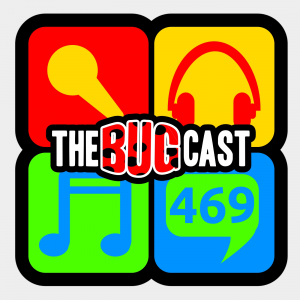 This week on The Bugcast: we talk pants, pods, podcasts; lament the loss of an amazing singer; and play 8 amazing tracks of Creative Commons music from Always The Alibi, Cursed Angel, Chuck Mason, Johnny Bemolle’s, thejunetominfluence, Cone Stone, Talking To Sophie, and Maya. This week on The Bugcast: not much chat, except running and extreme nerdiness, plus our usual selection of 8 amazing tracks of Creative Commons and Independent music from Plants, Eddie, Somewhere In Time, Rinzo & The Hey Hey Panthers, Declaration, Cone Stone, Axel Antunes, and Montero. This week on The Bugcast: country filed, jammies dodged, album isolated, and awards nominated, plus our usual amazing mix of 8 amazing Creative Commons tracks from Mercury & The Architects, Liv Margaret, Taiwo Heard, Heifervescent, Cone Stone, Mr Dutilleul, AJC & The Envelope Pushers, and Mister Sir.